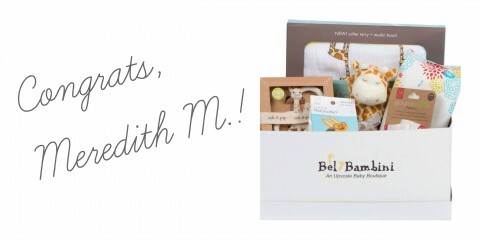 Congratulations to Meredith M., the winner of our Bel Bambini Newport Baby Gift Basket giveaway, who plans to give the enjoying the goodies with her baby girl! Congratulations Meredith! I just emailed you. Enjoy! Thanks to Bel Bambini for this fun giveaway. 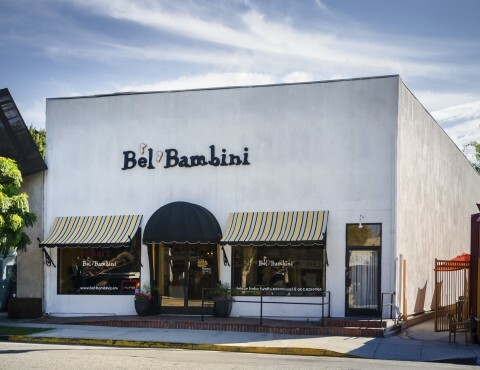 To celebrate the re-launch of their BelBambini.com, the famous baby boutique to the stars is giving away one of their luxury Gift Baskets to one lucky winner. Welcome baby into the world with Bel Bambini’s Newport Baby Gift Basket. Available in Boy, Girl and Gender Neutral – this basket is filled with a fun mix of essential goodies for the little one. Baskets retail for $100. 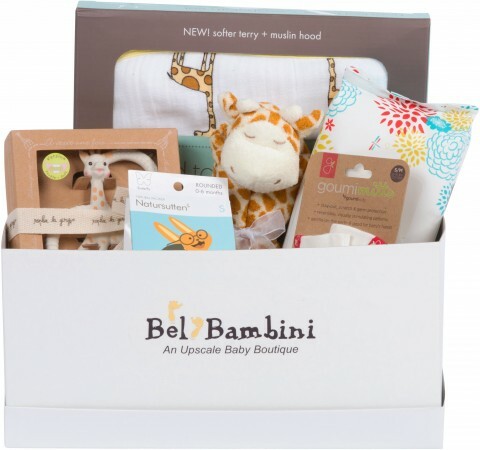 You can enter to win a Bel Bambini’s Newport Baby Gift Basket (retail value $100) via the rafflecopter app below. Note: this sweepstakes is open to US resident over the age of 18 only. It starts right now and ends September 25th, 2015 at noon EST. Good luck! In addition to the Newport Baby Gift Baskets, you can find other luxury gift baskets on the new site including the $10,000 Royal Baby Supreme Gift Basket. This pretty much includes the top of the line of everything you could possibly need for baby. I’d love to know how many of these they sell! If I ever get out to California again, you can be sure I’ll be visiting Bel Bambini in person, but for now we can all shop their new website! Congratulations to Jenn S., the winner of our 4moms bounceRoo giveaway, who plans to give the bounceRoo to a friend who is expecting her first child! Congratulations Jenn! I just emailed you. Your friend is sure to love her new bounceRoo— what a lucky friend! Thanks to 4moms for this fun giveaway. We introduced the 4moms bounceRoo a couple weeks ago but we’re going to have a little fun this week and share one with one of our readers! 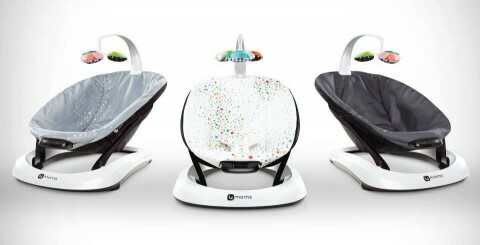 The bounceRoo is the only bouncer with unique vibration modes and intensity settings to help calm and soothe babies. The lightweight, portable and compact design is battery-operated and easy to collapse, making it easy to move around the house or take on-the-go. 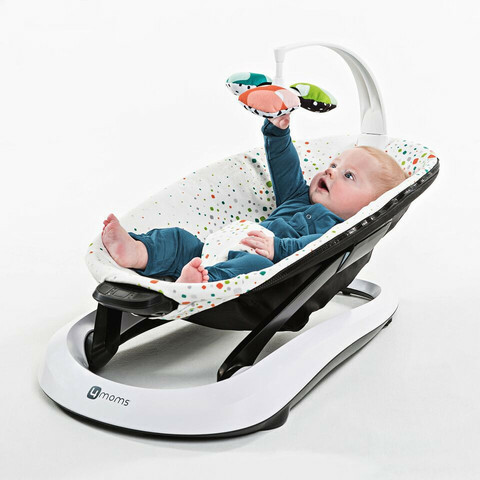 It comes with a toy mobile with three reversible toys, an easy-to-remove, machine washable seat fabric and a 20-minute automatic vibration shut off feature. I would have been much more excited to have this than the $30 cartoony wire seat that we made do with! Our giveaway winner will be a bit more fortunate than myself. You can enter to win a bounceRoo plush of your choice (retail value $119.99) from 4moms via the rafflecopter app below. Note: this sweepstakes is open to US resident over the age of 18 only. It starts right now and ends August 28th, 2015 at noon EST. Good luck! Congratulations to Ellen L., the winner of our Skip Hop Bath Collection giveaway! I’m sure she’ll love the new Moby Floating Bath Thermometer along with the rest of the Moby bath items. Congratulations Ellen! I just emailed you. Thanks to Skip Hop for this fun giveaway. 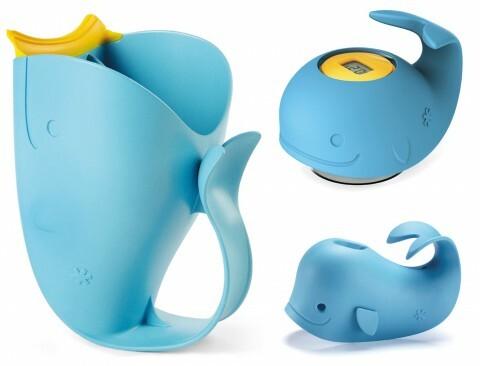 Skip Hop’s Moby bath collection is expanding with their all new Moby Floating Bath Thermometer! With color changing LED, the thermometer shows whether the bath water is too hot, too cold, or just right. It features a suction cup for hanging when not in use. To celebrate the launch of the new Moby Floating Bath Thermometer, Skip Hop is giving away a Moby bath collection (including the Floating Bath Thermometer, Spout Cover and Bath Rinser) to one of our loyal readers. You can enter to win all three via the rafflecopter app below. This sweepstakes is open to US resident over the age of 18. It starts right now and ends January 19th, 2015 at 12:01 am EDT. Thanks to our friends at Skip Hop for this fun giveaway and good luck to you! Olli + Lime Giveaway Winner! Congratulations to Stephanie O, the winner of our Olli & Lime Miller range giveaway! 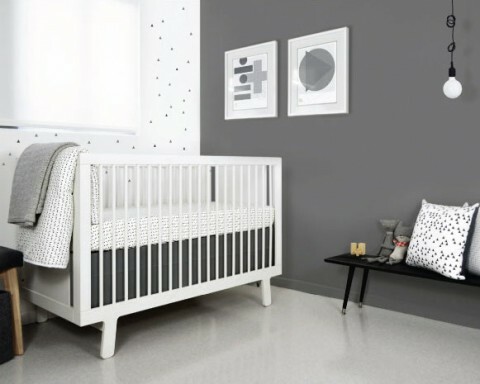 She has chosen the Line Crib Skirt and the Twig Charcoal Crib sheet. Such a chic combo! Congratulations Stephanie! I will email you shortly. 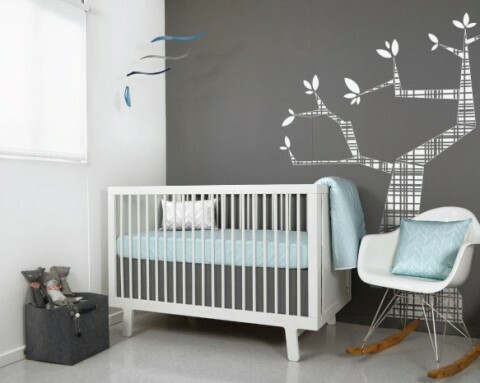 I can’t wait to see photos of it in your nursery! Thanks to Olli & Lime (one of our lovely friends and advertisers) for this generous giveaway. 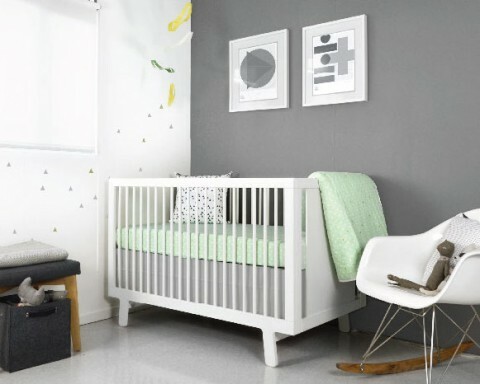 We’ve loved Olli & Lime as part of the modern nursery bedding world since 2010– our very first year blogging. 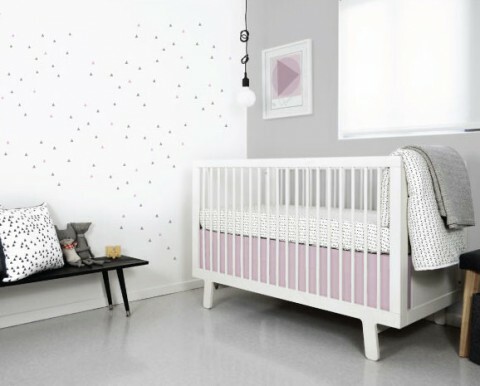 Since then, I’ve been impressed with how they’ve kept updating their business and product lines to provide parents with beautiful crib bedding options to fit the latest nursery styles. Just last week, Olli + Lime launched their latest update to both their site and their product lineup and I’m excited to share it with you! 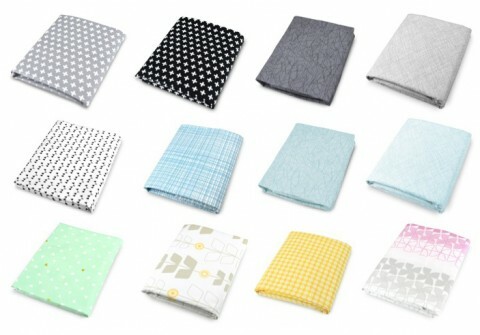 … or select your favorite quilt or blanket, sheets, accessories, decals, skirts and bumpers. 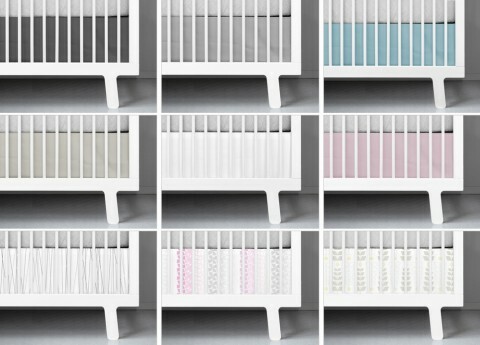 To celebrate the launch of their new look and help you get started with your modern nursery, Olli & Lime is giving away a choice of crib sheet and crib skirt to one lucky winner! Check out all the crib sheets. And then pick your favorite coordinating crib skirt. You can enter to win your choices via the rafflecopter app below. Visit Olli + Lime to decide which items you would choose if you won. There are a few additional entry methods you can take advantage of to increase your odds of winning. This sweepstakes is open to US resident over the age of 18. It starts right now and ends October 6th, 2014 at 12:01 am EDT. Thanks to our friends and advertisers at Olli + Lime for this fun and generous giveaway and good luck to you!